Cipollino Apuano is an historic italian marble extracted in the region of Apuan Alps. 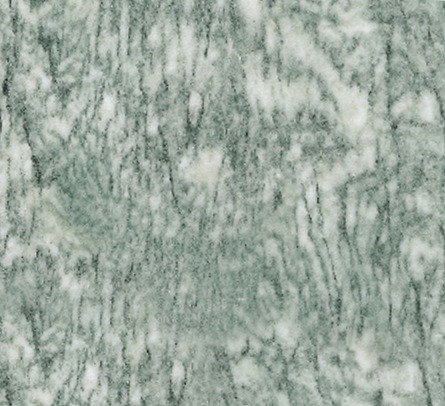 It is a marble characterised by the light green color, with white rounded veins. Cipollino Apuano is extracted in one quarry only in Versilia, and the blocks are usually medium sized. This marble has been used in the past for many noble palaces. The slabs of Cipollino Apuano need to be resined, and Ziche can carry on this process at the highest qualitative and technologic level. In fact, in the modern factory of Brescia (IT), Ziche vacuum resins three times all the slabs of Cipollino Apuano, using epoxy resins. This process eliminates the porosity of the material and fixes the defects or the micro-cracks which may occur, enhancing the structural qualities of this marble and not affecting the natural color. Cipollino Apuano is mainly used with the polished and brushed finishing which enhance the important veins and value the peculiare color of the background. Cipollino Apuano is a marble used for floorings, countertops, stairs, tiles, claddings, ventilate facades,..